It’s no surprise that I ended up working in admin. When I was 10, I desperately wanted to be a personal assistant like my big sister – she wore power suits, carried an attaché case and caught a train into the city every morning. But even before that, I was obsessed with keeping things organised. I’d “help” mum keep paperwork together and make sure things in our office were just so. I’d sit there for hours, labelling folders, trays, pieces of paper, cereal boxes, and even the cat. Nothing was safe. But OH BOY, it took forever. For each character I wanted embossed on the plastic tape, I had to turn the dial, letter-by-letter, cog-by-cog, until I got to the one I wanted. And then use both hands to squeeze the handle to print the letter. And repeat, until finally, cutting the tape when all was done. My obsession with labellers and labelling All The Things is still going strong. So when I was invited to review the Brother P-touch D450 label maker, there was no holding me back. Look out, staplers! I’m coming to label you. How do you review a labeller exactly? That’s easy: print, baby print! I used the labeller as a standalone machine, plugged into the powerpoint under my desk. You can also connect it to your computer and use the official software to prep your labels, save them for easy re-use, etc. In all honesty, I didn’t need to go that path. 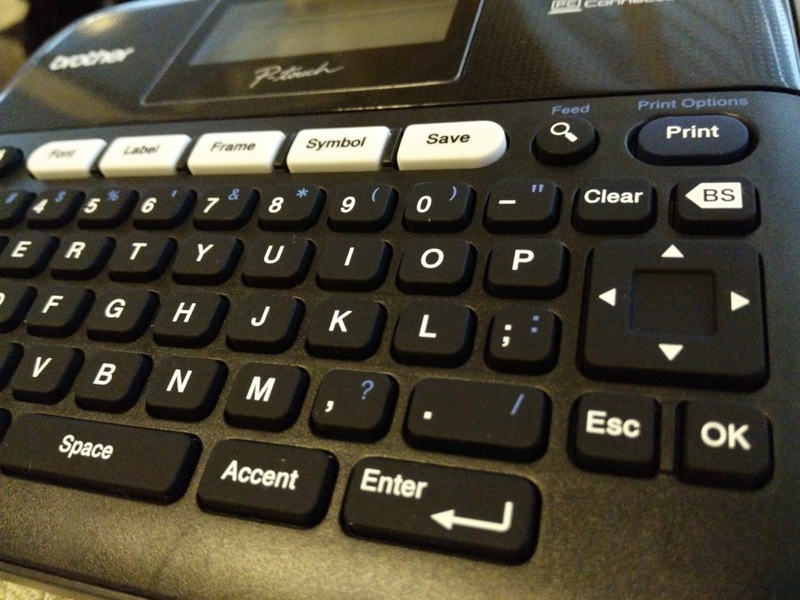 The QWERTY keyboard on the labeller does a fine job as-is and the LCD display is easy to read (even without my glasses). Setup is a piece of cake. Pop in 6xAA batteries or plug into a powerpoint and you’re off. Before you start printing, it’s worth checking out the ‘label collection’ to see what fancy labels you can print with the D450. Have you ever had the fridge in the staff kitchen defrost because some genius unplugged it instead of the sandwich toaster? Label power cords so they’re easily identifiable. 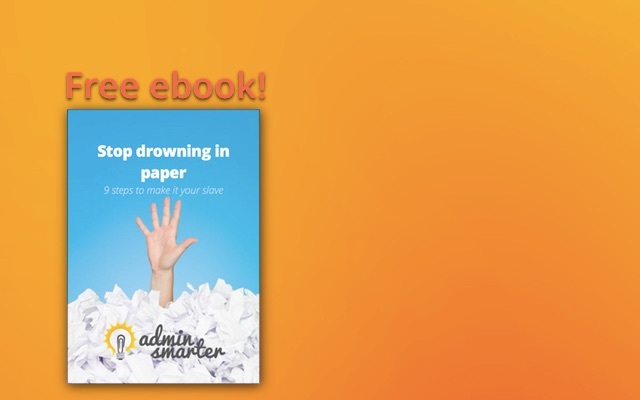 Want to feel productive and keep your desk clear? Create and label a ‘completed’ tray so you can see what you’ve completed and can treat yourself to (another?) coffee. Need to keep tabs on the tech hardware used around the office? Create asset stickers for laptops, portable projectors and even USB sticks! How have you used a labeller at work? I’d love to hear your ideas!